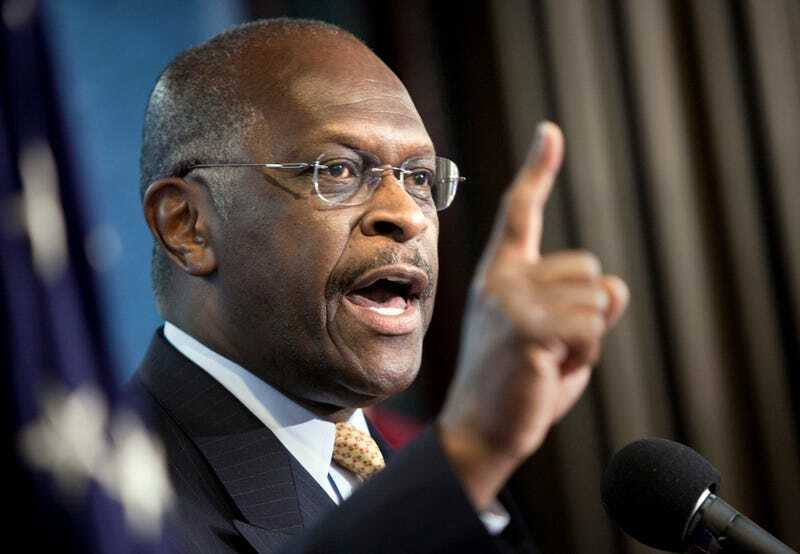 Republican Herman Cain mulling presidential run. Former Godfather's Pizza chain CEO Herman Cain may toss his hat in the ring for the 2012 presidential election. It seems that conservatives, particularly Tea Party members, are less concerned with a candidate's political experience and more concerned with his conservative values. Mike Glover of the Associated Press reports that even though many Americans haven't heard of Cain, he is "creating quite a buzz," said former Iowa Republican Party Chairman Richard Schwarm. "He is someone Iowa caucus-goers are going to take very seriously." Cain, 65, from suburban Atlanta, has visited Iowa several times recently and will return to Des Moines on Monday for a conservative forum. Apart from a failed 2004 run for the U.S. Senate in Georgia, Cain hasn't sought election to public office. In January he announced the formation of an exploratory committee to consider seeking the GOP presidential nomination. "I couldn't sit back and watch this country continue to go down the wrong track," Cain said in a telephone interview with the Associated Press. "What we have lacked is leadership." Cain, who is a Republican, is against abortion and in support of a strong national defense, a smaller government and a return to the gold standard. The article says that Republicans are interested in Cain because his lack of experience doesn't seem to be a far cry from President Obama's rise from community activist to senator to president. It's funny how the GOP likes to suggest black candidates with no experience as a viable replacement for President Obama. One black man in exchange for another, which is the height of racism. To suggest that Obama was not qualified for president — and therefore Cain should get some consideration — is ridiculous. How a black potential candidate can be cool with gaining support from a party because of what he lacks in experience is troubling. This type of thinking underscores racist thought that blacks are somehow less qualified than whites in everything, including presidential runs. Cain is no different from Ross Perot in that he is a businessman who wants to make a difference. Contrary to popular opinion, blacks don't blindly vote for black candidates — i.e., Cain and many other blacks did not vote for President Obama. Cain should toss his hat in the ring because he can according to the Constitution. Let's see what Cain can do, as opposed to building him up for what he hasn't done, which will be used against him by fellow GOP bid seekers in the end, anyway. In other news: The Root Recommends Diana Ross' Greatest Hits Tour.